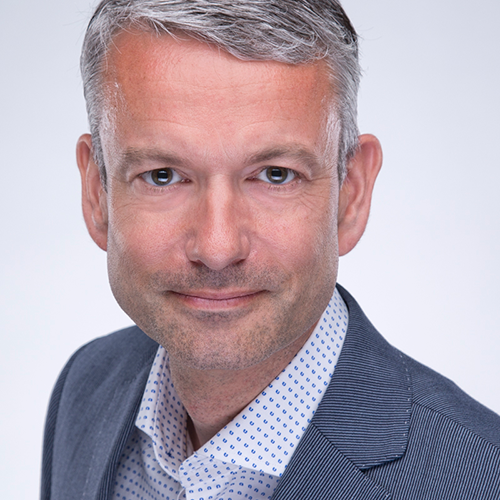 Ronald van Lent is Managing Partner at JUGO in The Netherlands. JUGO provide Business Intelligence consultancy and one of the focus areas is data visualization where the concept of IBCS® is being applied. M.Sc. Ronald van Lent studied Econometrics with specialisation production and inventory management at the University in Tilburg. In conjunction of major Econometrics he attended Business Engineering courses at the Technical University of Eindhoven (TUE) with focus on human (behaviour) in processes. After his study in 1996, Ronald started as information co-ordinator. In this role he was responsible for (management) reporting on European level. In the years to follow Ronald held different roles, as internal and external consultant, but always in regards of Business Intelligence – both data warehousing and reporting. In 2008 he joined JUGO as partner and became Managing Partner in 2014. 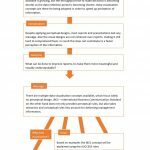 Ronald followed several publications, training courses and seminars regarding data visualisation. In 2014 he became acquainted with IBCS®. Since then IBCS® has become one of the major focus areas of JUGO. As Partner in Education of the Fontys University of Applied Science, Ronald is providing internships as well as guest lectures. Business Intelligence is not about technology and tooling, but on making complex information quickly and comprehensively understandable. Technology and tools are not the drivers, but mere enablers to provide a proper and a maintainable solution. 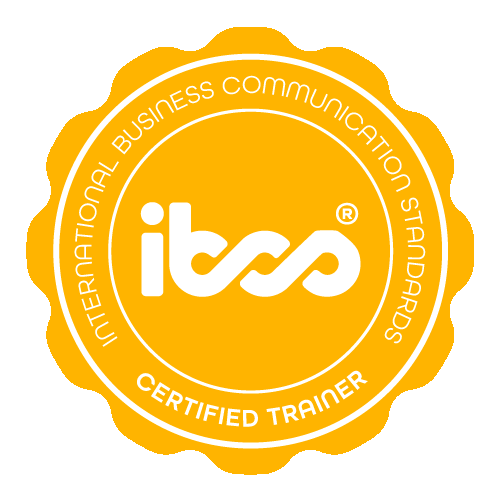 Ronald van Lent has successfully completed the IBCS® certification for successful design of reports and presentations at the HICHERT+FAISST IBCS Institute in May 2015 and serves as IBCS® Certified Trainer. 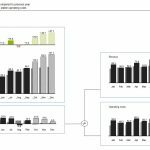 This sample work shows an IBCS® conform report where besides the profit also the underlying revenue and operating costs are shown. 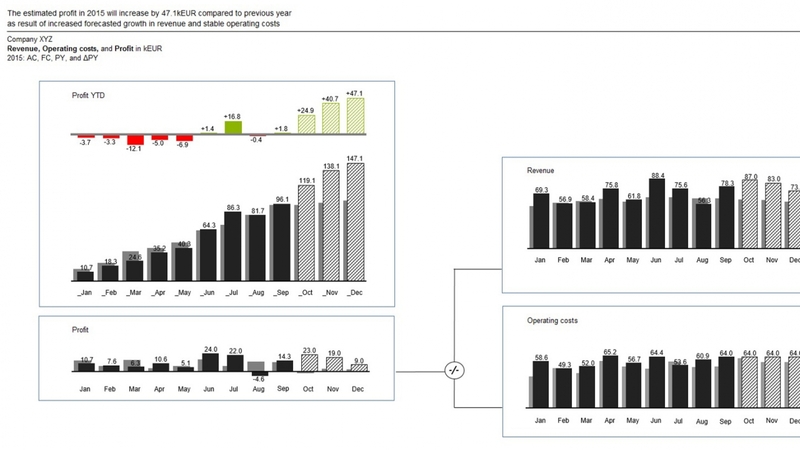 The profit is shown as monthly figures as well as YTD together with a previous year variance. This example of a real customer case has been developed in Microsoft Excel 2016 with the graphomate add-on. This storyline is being used as basis for guest lectures given at the Fontys University of Applied Science. The work example consists of storyline, presentation and a reader. Additional attention is given to the data visualisation aspect and the working of the human brain.